Practice Areas: complex construction litigation and insurance coverage issues. She presently provides the day to day management and oversight for the firm. 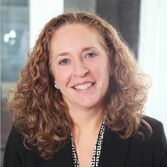 Marla Miller Ostrover is a 1989 graduate of Benjamin N. Cardozo School of Law having obtained her Bachelor’s Degrees from State University of New York at Binghamton. Prior to her current position, she handled complex construction litigation and insurance coverage issues at Fabiani Cohen & Hall, LLP. She presently provides the day to day management and oversight for the firm. Ms. Miller Ostrover is admitted to practice law in the State of New York as well as in the State of New Jersey and the Federal Courts of New York.